Can my wood floor be saved? When should a floor be cleaned & recoated? When should a floor be sanded & refinished? When does a floor need repairs? During new construction, when should a floor be installed? For a remodeling project, when should a floor be installed? I have trees on my property, can they be used for my wood flooring projects? How long does the sand & refinish process take? How long does the install of a new wood floor take? Can I stay in my home while a floor project is in progress? What is the cost of an estimate? A floor should be cleaned & recoated when wear patterns start to develop in traffic areas. 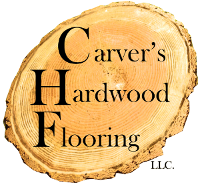 A floor should be sanded & refinished when the protective finish is broken down, texture & color changes appear in traffic areas, or when damage has been done due to a sudden change in moisture or other damage has occurred. If large areas need repairs, the floor may be removed, nails pulled, joints cleaned, and then reinstalled mixing in like reclaimed flooring. The wood floor should only be installed after the drywall/plaster is installed & finished and preferably after the walls are painted. The moisture level of the framing and subfloor will be checked, and the flooring will not be installed until moisture levels are acceptable. The permanent electrical fixtures do not have to be installed; however, suspended temporary lighting of some kind and at least one outlet in each room is required. The flooring should be covered during remodeling if possible. It should only be refinished when drywall/plaster is complete and after walls are painted. I have trees on my property; can they be used for my wood flooring projects? Yes, this is a great way to have an attachment to the land. Perhaps it is a family homestead or farm, maybe it is a tree that has come toward the end of its life, and you would like to preserve the memories of climbing on it or swinging from it as a kid. I can facilitate the cutting of the trees, cutting the logs into usable boards, a kiln to dry the lumber, and a mill to have the boards made into usable flooring. Depending on the size of the floor it may take as little as one day to sand. No matter how small or large, it will take basically five days to go through the correct sealing & finishing process. After that, it may take seven to ten days to fully cure and to accommodate normal use; however, limited use is acceptable during this time. The time it takes is completely dependent on size and features of the floor to be installed. Yes. It is obviously less intrusive if the project or at least part of it can be scheduled for a time when you may be on vacation or when other living arrangements are made. Estimates are completely free, and there is no obligation. An honest opinion will always be given as to the status of your floor, whether or not it can be saved, and if so, what should be done with it.